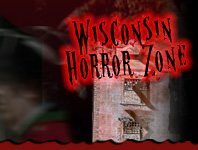 No matter the Halloween event you're in search of - and whether you reside in some of Wisconsin's biggest cities like Green Bay, Madison or Milwaukee, or in one of the state's small towns, WisconsinHauntedHouses.com has you covered! From Haunted Houses, Escape Games, Haunted Hay Rides, Haunted Corn Mazes, Scream Parks, Spook Walks and Haunted Trails - our directory of scary-good fun is endless. And if you're looking for some more family-friendly fun to enjoy during the Fall Season, our Fall Attractions features everything from Pumpkin Patches, Corn Mazes, Hayrides, Festivals and Parades to Not-So-Scary Haunted Houses and Safe Trick or Treating events for the kiddies. 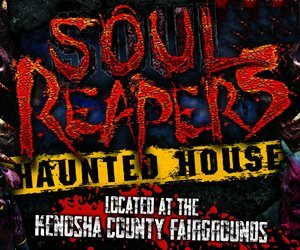 Whatever suites you best, WisconsinHauntedHouses.com has everything you'll need for a hair-raising Halloween Season and enjoyable Fall Season! Check out Wisconsin's Real Haunts, where ghosts, ghouls, and apparitions make their home year round! Across Wisconsin, there are tons of houses, cemeteries, and places that are truly haunted - get all the gory details about Wisconsin's Real Haunts right here! 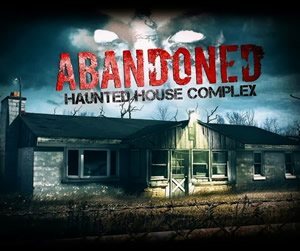 There are a number of fun things to do in Wisconsin to celebrate the Halloween Season and here at Wisconsin Haunted Houses, we give locals a one-stop-shop to help find Halloween and Haunted Attraction events throughout the state of Wisconsin taking place all season long. 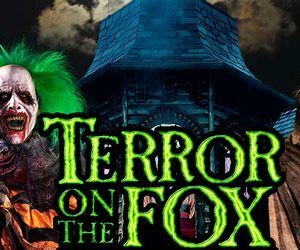 From Haunted Houses, Spook Walks and Haunted Trails, Haunted Corn Mazes, Scream Parks, Escape Rooms, Haunted Hayrides and Zombie Hunts and Shootouts, the scary-good fun is absolutely endless! In search of a more family oriented event? We've got you covered there, too! Find Kid Friendly Fall Attractions, which include Pumpkin Patches, Corn Mazes, Hay Rides, Festivals, Parades, Parties and Nightlife, Not-So-Scary Haunted Houses and even Safe Trick or Treating events for the little ones. No matter what you're in search of during the Fall Season, visitors will be able to find an array of entertainment throughout our site that is sure to keep them busy well until Winter arrives. 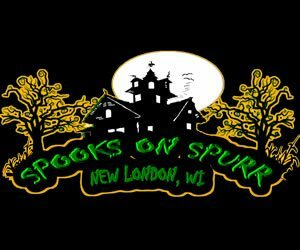 The Wisconsin Haunted Events Calendar Page features events taking place all over Wisconsin, from spooky Halloween fun to Fall Activities that the family can enjoy together, our Calendar of Events has it all! Visitors can search for specific events taking place that very day, the next day, or the next weekend, making advanced planning an absolute breeze! Whether you reside near Milwaukee, up near Green Bay, or way up North by Superior, our site features a number of fun things to do no matter the location. 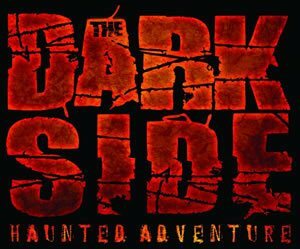 Thrill seekers can check out our Reviews section before beginning their haunting journey, giving them an idea of what they're getting themselves into! After an attraction has been visited, haunt-goers can leave reviews to let other locals know how their experience was, while at the same time, letting the attraction owners know just how much fun they had! Each review helps generate the Attraction of the Year, which is announced after each Halloween Season. Both winner(s) and nominees are then listed on our Wisconsin Haunted Attraction of the Year page. And if you need to know just how scary a haunted attraction is before trying to brave it, each listing features a "Scare Factor" to let visitors know the level of scares taking place at that specific location. Another spot on Wisconsin Haunted Houses that is a must-visit before going to an attraction is the Coupons Page. Here is where our visitors will be able to find all sorts of deals and discounts taking place at specific locations. Coupons can vary from a certain percentage off ticket admission, to deals for students and military personnel. So be sure to take a look to assure you don't miss out on saving some money! If you're interested in taking your Halloween Season adventures to the next level, we feature a Wisconsin Real Haunts Page, where visitors can find local spots throughout the state that are believed to be truly haunted. These can include some historic destinations that have quite the history behind them, along with seriously spooky ghost stories. 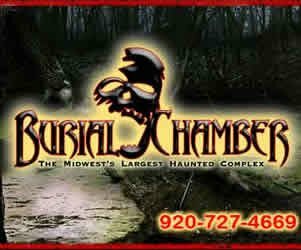 From cemeteries, schools, theaters, restaurants, roads and bridges, to mental hospitals and aslyums, there are a ton of Haunted Places here in Wisconsin that many locals may not even know about! But be sure to check before starting your paranormal venture, as some places are located on private property where trespassing is not allowed. Our Real Haunts Page is one to visit all throughout the year - as the haunting stories don't stop when the Halloween Season does! Be sure to come back and visit when the Halloween Time rolls around and find all your haunting needs in one place. An additional way to stay updated is by signing up for our in-season Email Newsletter, which includes updates, discounts, coupons and more! This assures you'll never miss out on any of the spooky fun taking place nearest you. As for the rest of the year, be sure to follow us on Facebook, Instagram, Twitter and Google+, where we celebrate the magic of the Halloween Season all year long!